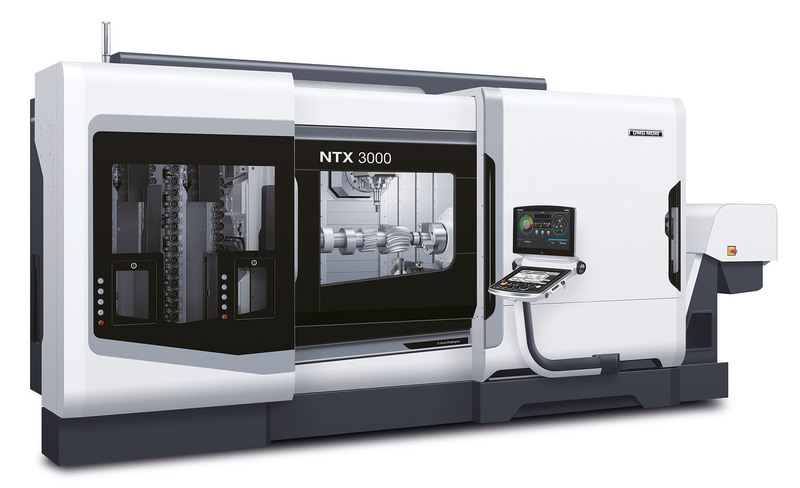 With the compactMASTER Turn&Mill spindle, the additional turret including Y-axis, and a bar diameter of ø 102 mm, the new NTX 3000 2nd Generation from DMG MORI combines maximum productivity with a footprint of just 16.5 m². Hard on the heels of the NTX 2500 2nd Generation exhibited at EMO 2017, DMG MORI presented the latest model of its compact turning-milling centres in the form of the NTX 3000 2nd Generation at the Open House in Pfronten. This world premiere is designed for larger bar diameters of 102 mm and is also capable of machining the most complex of components with a torque of up to 1,194 Nm. As with its smaller siblings, the experience gained from more than 1,000 installed NTX 2000s is also brought to bear in the NTX 3000 2nd Generation. The latest model is therefore also endowed with high process stability and flexibility with a generous work area (675 mm in the X-axis and +/-150 mm in the Y-axis) on a footprint of only 16.3 m². The decisive core component here is the B-axis with the company’s in-house compactMASTER spindle for demanding 5-axis machining with up to 122 Nm. With 1,194 Nm torque and optional counter-spindle, the main spindle extends the performance of the NTX 3000 2nd Generation into the realm of 6-sided heavy-duty machining in the aerospace industry, the automotive sector and medical engineering. 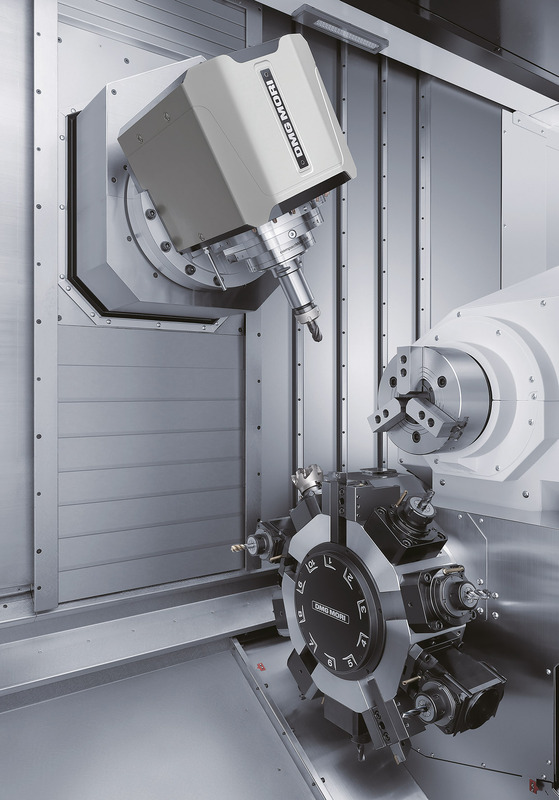 A further important criterion of the world premiere is the short, 350 mm compactMASTER spindle on the B-axis, which, along with its actual performance data, provides additional space in the working area. Like the Turn & Mill spindle, the second tool holder in the form of a BMT turret with driven tools also has a Y-axis (+/-40 mm). The company’s in-house toolSTAR tool magazine with 38 stations, which, at the customer’s request, can be expanded to up to 114 pockets, makes for short setup times. On the control side, the NTX 3000 2nd Generation follows the “Path of Digitization“, on the basis of which DMG MORI is promoting the digitalisation concept. The latest turning-milling centre is therefore also equipped with the CELOS APP-based control and user interface and large, 21” multi-touch display. On the one hand, CELOS enables consistent management, documentation and planning of job orders in production engineering and in the workshop. On the other, CELOS APPs such as “CONDITION ANALYZER” and “PERFORMANCE MONITOR” offer the user a detailed insight into the machining processes and the status of the machines as a basis for a continuous improvement process. CELOS also works to an ever-increasing extent as an IoT interface, and thus provides the basis for cross-company interaction in production networks of the future.